Just after arriving in Amsterdam I worked on this project at Iris Amsterdam. 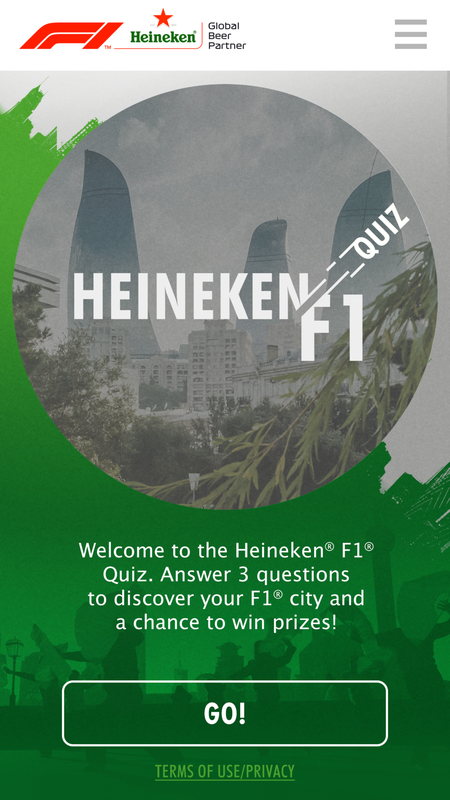 It's a quiz / app that matches people to F1 race's cities. It gives the opportunity to these guys to win trips to enjoy the full race weekend having their loved beer - Heineken, indeed!